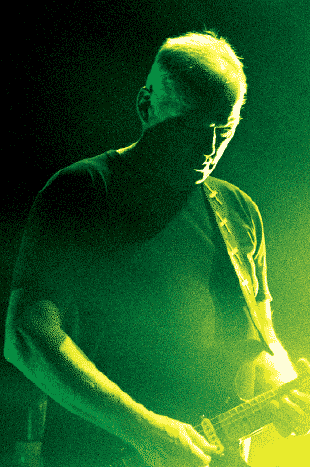 Subscribe to the David Gilmour Mailing List here. Please note that David will not be answering correspondence personally. Any confirmed live concert dates will be announced first on the front page of the Website. We regret that due to the volume of requests for these it is not possible to provide them, although we still receive many daily requests. Please note that in future, with regret, such requests will not receive a reply. The David Gilmour Store is run by a third party company, based in New York. There are two online stores. There is a contact e-mail form on the North American store Website, which is at the bottom of the page, under 'Questions or Concerns'. There is also a phone number on the US store, which is (877) 687-4277. They are apparently able to receive your call from Monday to Friday, from 10.00am to 7.00pm, EST. For the store serving the world excluding North America, the phone number is (in the UK) 0116 284 4770. They say: 'If you are outside the UK call +44 116 284 4770. We're available to take your call between 9.30am and 5.00pm Monday to Friday (UK Time)'. You can write to them at: Bandstores.co.uk, 1 Brook Street, Whetstone, Leicester LE8 6LA, United Kingdom. Their e-mail is customerservices@bandstores.co.uk. Please do not e-mail info@davidgilmour.com with merchandising issues. Click here to send an e-mail to David's management company.